The Peckham Pelican in south London is perhaps an unlikely place to tune into God. Yet, on Sunday nights, the trendy arts bar is host to a friendship group with a difference: a dozen or so people, aged from 20 to 70-odd, who, in-between working normal jobs, aim to live a life similar to that of monks and nuns: praying together each day, living in community, and trying, in various ways, to help the world around them. The Wellspring community was founded by the Rev Ian Mobsby, vicar of St Luke’s. Three members live with him at the vicarage. Another has moved into a flat across the road. The rest commute. Their shared life consists of services several times a week, a weekly meal, and, of course, Sunday night at the pub. Unlike traditional monks and nuns, they do not commit to a life of chastity. Instead they make yearly vows, dedicating themselves to a “rule of life” focused on prayer, hospitality, learning and service. Wellspring isn’t unique. Similar communities, offering a part-time version of monastic life, have sprung up all over England, from south London to Leicester, Oxford and Ipswich. Supporters say they answer a hunger for community and a search for a deeper spirituality without the severe lifelong obligations that entering a monastery would require. One Wellspring member is Simon Bubb, an actor. Even though his commitment is lighter than others – he lives further away now, and only attends a meal and one weekly service – he has found comfort, he says, in having a “sense of a home, a sense of people sharing life alongside me”, and in “slowing down” for a part of each day. The regularity, far from being onerous, “enables the rest of your life to grow and flourish”, he says. A large focus is on contemplative prayer – on “finding God through stillness and silence”. Unusually, the community is open to non-Christians to try out too. The Tree of Life is not quite a pioneer: it follows the model of the Community of St Anselm, set up by the Most Rev Justin Welby, the Archbishop of Canterbury, at Lambeth Palace three years ago. That has seen dozens of Christians from all kinds of denominations around the world, from Serbian Orthodox to Pentecostal to Open Brethren, living together for a year on the palace grounds, studying the traditions of (largely Catholic) monasticism. Welby is a strong supporter of such communities. His first priority as archbishop, announced shortly after his appointment, was the “renewal of prayer and religious life”. At a synod debate earlier this year he said it was “almost impossible” to find a period in Christian history where there was a “renewal of spiritual life without renewal of religious community”. Part of the story, he says, is about evangelicals rediscovering traditions that once would have been regarded as suspiciously Catholic. “A previous generation would have felt quite reluctant to look at the monastic traditions in that way,” he says. For centuries after the Reformation, monastic life disappeared from Britain. Then, from the 1840s, a wave of Anglican communities of friars, monks and nuns were founded in England to meet the needs of the poor. At the same time Catholic convents and monasteries began to be established, prompting alarm in Parliament. Sir Thomas Chambers MP called for an inquiry, fearing nuns were being held against their will. New monastic communities are unlikely, of course, to provoke the same anxiety. But supporters like Welby hope they are the start of something just as far-reaching. 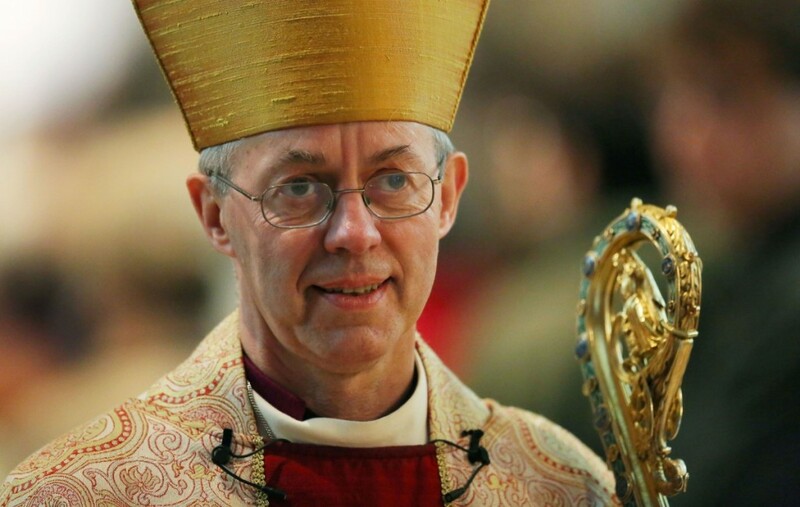 Justin Welby wants to focus on growth – and has City high-flyers on hand to help him do it. Can he take his fractious Church with him? This article was published in The Spectator. A new mood has taken hold of Lambeth Palace. Officials call it urgency; critics say it is panic. The Church of England, the thinking goes, is about to shrink rapidly, even vanish in some areas, unless urgent action is taken. This action, laid out in a flurry of high-level reports, amounts to the biggest institutional shake-up since the 1990s. Red tape is to be cut, processes streamlined, resources optimised. Targets have been set. The Church is ill — and business management is going to cure it. Reformers say they are only removing obstacles that hinder the Church from growing. Opponents, appalled by the business-speak of some of the reports, object to what they see as a ruthless focus on filling pews. Two reforms in particular have generated headlines. One is the plan to swipe £100 million from the Church’s investments to pay for more priests (target: a 50 per cent increase in trainee clergy by 2020). The other is to give business-school training to bishops and deans and, more controversially, to identify a ‘talent pool’ of future leaders — in the official language, people ‘with exceptional strategic leadership potential for Gospel, Kingdom and Church impact’. Provoking more anxiety, though, is the emphasis on growth in numbers. Half of the central fund distributed to help poorer dioceses is to be diverted to support thriving projects. The previous system was thought to ‘subsidise decline’. The new approach, to be brought in over ten years, is meant to ‘incentivise… Church growth and innovation and flexibility’. To many in the Church this feels like new ground. The C of E, they say, should be focused on God, not growth. The Revd Canon Professor Martyn Percy, dean of Christ Church, Oxford, says he has received hundreds of emails and letters from people worried by all the talk about ‘efficiency, success, targets and data’. Jesus, he says, ‘didn’t spend a lot of time going about success’. This article was first published in the Times on 4 April 2015. As Christians around the world celebrate the most important feast in their liturgical calendar tomorrow and Pope Francis delivers his message of peace, Christian soldiers will be preparing to fight Isis. In the remaining Christian-held territory in the Ninevah Plains in northern Iraq, many of the newly trained Christian militiamen are volunteers who have arrived to fight for their brethren and try to avoid a repeat of the night of August 6 when 125,000 Christians fled their homes as Islamic State stood poised to invade. That evening, a Kurdish commander warned Christian leaders that his forces were retreating. By morning whole cities and towns, including Bakhdida and Bartella, had been abandoned and Christians evacuated into Kurdish territories in Iraq such as Ankawa, an Assyrian Christian suburb of the city of Arbil, and the city of Dohuk, where there is also a big Assyrian population. Staying in their homes would have entailed either converting to Islam, paying extortion money or being murdered. In the Isis-controlled city of Mosul, some 30 miles away, many Christians had already fled in June 2014 after Isis took over. Churches were burnt, statues destroyed, and the Arabic letter for “N” (“Nazarene”) was daubed on the doors of Christian properties. In the past decade Iraqi Christians have suffered a series of atrocities perpetrated by Sunni and Shia extremists. These attacks have driven most Christians out of the country. In 2003 there were 1.2 million in Iraq; now there are thought to be about 300,000. Many of those displaced say that Christianity in Iraq is finished. If so, this would bring an end to a rich heritage; Christians have been established in the area since the second century AD. One group of Christians, however, would rather fight than leave — and has started to build its own army. The Assyrians, a distinct ethnic group, have set up a force called the Nineveh Plains protection units. Their aim is to defend the towns and villages they still have and eventually push Isis out of their homeland. A fundraising appeal has been launched and supporters are mostly drawn from a worldwide Assyrian diaspora of two or three million. The money will fund equipment and training for 3,000 or so volunteers. The militia already has weapons inherited from an insurgency against Saddam Hussein in the 1980s and the organisers say that more than £150,000 has been raised in the past three months. The appeal’s website, restoreninevehnow.org, argues that Assyrians can no longer rely on the Kurds or the Iraqi army to protect them. In the face of Isis, both forces withdrew, leaving Assyrians “with no choice but to flee for their lives”. Its soldiers patrol the Assyrian Christian town of Alqosh and the village of Sharafiya, less than an hour’s drive from Isis-controlled areas farther south. 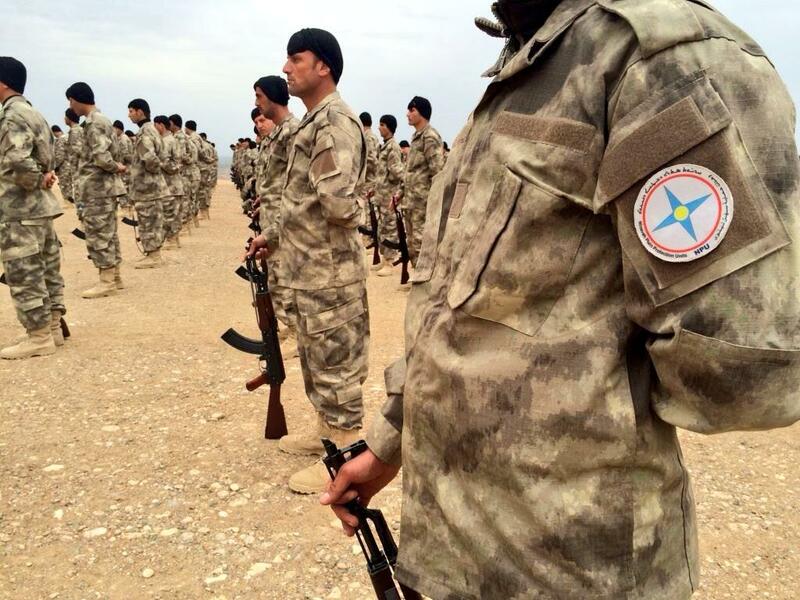 Two smaller Assyrian militias, working under Kurdish command, are present in the area too. It is hoped that, with the creation of the militias, the Iraqi government will step in and provide funding and equipment. John Michael, a British-Assyrian who runs an IT company in Ealing, west London, is a supporter of the militia. He is passionate about his people’s history — a collection of artefacts in his office includes a 400-year-old Bible and a statue of Ashur, an ancient Assyrian god. (Assyrians follow the Church of the East, which split from the Western churches in the 4th century, but trace their heritage back to the Assyrian empire, dating from about 2,500 BC). Between the fifth and 13th centuries Europeans did not even know the Church of the East existed. The church developed independently under a succession of Islamic and Mongol empires. Its liturgy, though composed of the same basic steps, differs significantly from that of Western churches. “Since the seventh-century AD our people have suffered one massacre after another,” says Michael. The 20th century was particularly deadly, with an estimated half a million killed in the Armenian genocide in 1915 and another 5,000 or so slaughtered by the Iraqi military in 1933. Yet the West pays little attention, he says. This article was first published in the Spectator on 28 March 2015. The sun has only just risen in Rome and we are standing bleary-eyed in a short queue outside the Vatican. Our guide, Tonia, takes us through security, and within minutes we are in a nearly empty Sistine Chapel. In an hour it will be crammed with tourists — sweating, gawping, getting in each other’s way. 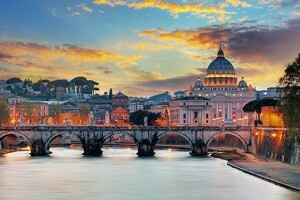 Vatican officials will be shushing and clapping to quieten the chatter. Now, though, we are free to contemplate Michelangelo’s swirl of naked bodies in peace. Michelangelo claimed that he painted the ceiling entirely on his own. In fact, Tonia explains, he started off with 15 helpers, though he got rid of them all along the way. He ‘fought everyone’, she says. ‘On the one hand he was amazing but in human relationships, no.’ He was brave, she says, in accepting the job from Pope Julius II in the first place: Julius was a ‘dreadful pope’ who ‘hit Michelangelo with a stick’. After the Sistine Chapel we are taken around the rest of the Vatican museums, but there is a great risk of aesthetic overload. There are the famous Raphaels and Caravaggios, of course, as well as ancient Roman sculptures. But forget to look up and you will miss dazzling Mannerist and Baroque frescoes. Even the floor you are stepping on is a second-century mosaic. This article was first published in The Times on 14 February 2015. The bones of Richard III, dug up three years ago in a car park in Leicester, will at last be laid to rest next month. The Archbishop of Canterbury will say prayers as the coffin is lowered into a brick-lined vault beneath Leicester Cathedral. It will be hoped that a solemn, moving occasion — broadcast live on Channel 4 — will put an end to controversy over where and how the last Plantagenet king should be reinterred. Yet even now, just weeks away from the sealing of the tomb, the arrangements are still the subject of dispute. This time passions have been aroused not by the reinterment itself, but by the “coffining” — that is, the way Richard’s bones are placed in their coffin. A petition, signed by 3,000 Catholics, is calling for the king’s remains to be coffined in a Catholic chapel, rather than, as is planned, at the University of Leicester. What’s more, the petition is being organised by the historians Philippa Langley and John Ashdown-Hill, who were responsible for the discovery of the king’s remains. Anglican and Catholic officials have rejected the idea, saying there is no need for prayers to be said when the remains are put in a coffin. The university has so far resisted pressure to change its plans. The remains, it says, will be coffined in a “place of appropriate dignity”. The petition organisers say they want Richard III’s remains to be treated “in a prayerful way, rather than as a scientific specimen”. Ashdown-Hill, author of The Last Days of King Richard III, cites how Richard reburied his own father and brother after they were killed by Lancastrians. “They were surrounded by prayer at every stage of the journey from exhumation to reburial,” he says. 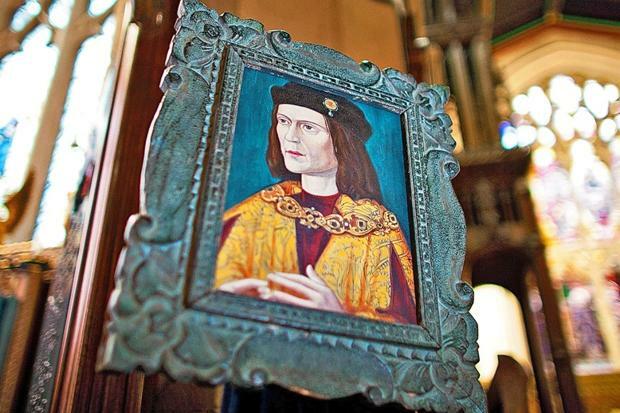 “Clearly that’s what Richard III thought was the right thing to do.” But the Rev Pete Hobson, acting canon missioner at Leicester Cathedral, says there is “no precedent or logic” to the request. Praying over remains being placed in a coffin “didn’t happen in medieval times and it doesn’t happen in contemporary times”. The dispute is part of a broader clash between the university and the “Looking for Richard” team of enthusiasts who pushed for the initial dig. Langley, who financed the excavation after a hunch about where the king’s body would be found, thought it had been agreed that Richard’s remains, once identified, would be placed in a chapel of rest. Instead, after being CT-scanned, carbon-dated and DNA-tested, they were kept at the university. Recalling Richard’s hasty, ignominious burial after the Battle of Bosworth in 1485, Langley says the reinterment is “about making peace with the past — that’s the most powerful thing we can do”. The team says that, apart from the coffining, it is happy with the reinterment plans. Yet its petition, by calling for Richard to be placed in a coffin “in a place of Catholic sanctity, with the prayers and rites of his own religion”, opens up another question. If Richard III was a Catholic, why is he being buried in an Anglican cathedral? The simple answer is that the university, which held the exhumation licence, chose Leicester Cathedral. The Catholic church did not get a look in, but Richard enthusiasts argue that the king was genuinely devout, and therefore would have cared about the manner of his reinterment. Desmond Seward, author of Richard III: England’s Black Legend, agrees that Richard was a religious man. He points to the many chantries Richard founded for priests to pray for the dead. Michael Hicks, emeritus professor at Winchester University, however, says that even if Richard was religious, he hardly led a Christian life: he killed, broke oaths, produced bastards — and probably murdered his nephews. Seward points out that reburying the king in a way that would have been familiar to him would not be possible today. Masses in Britain before the 16th century were celebrated according to the Sarum Rite, the “most elaborate in Christendom”. A Requiem Mass would require 20 ministers dressed in black vestments at the altar and three cross-bearers. “The modern Catholic Church could not find the clerics to do this and, in any case, Rome would never give permission,” he says.